Lights! Camera! Click, Click, Click, Click! An edited version of "Lights! Camera! Click, Click, Click, Click!" by Larry James will be featured in the July/August 2008 issue of The Wedding Chronicle. 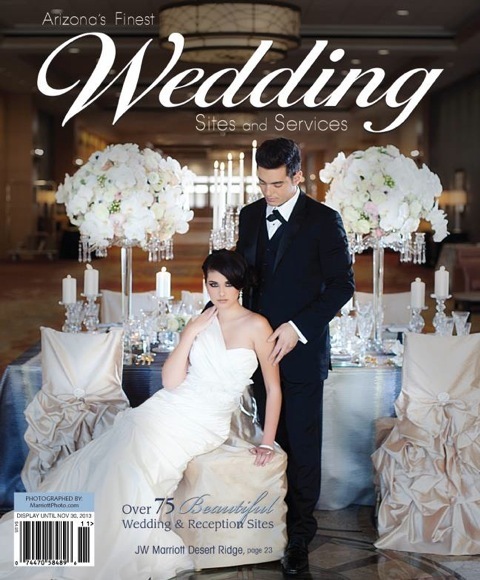 Pick up your copy at AJ's Fine Foods in the Greater Phoenix area and Tucson. 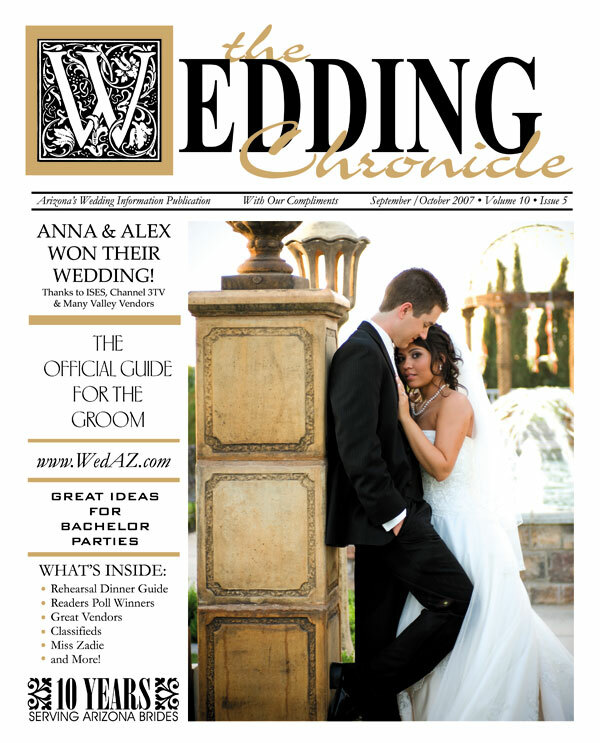 Larry James has been selected as the "Best Officiant" in the Greater Phoenix area by The Wedding Chronicle's 2007 & 2008 Readers' Poll! All you need is to count one, two, pose then S-M-I-L-E for the candid camera! That's about all the direction you'll get in a photo booth. There's only one little stool inside, so when the curtain closes, it's time to improvise. About 20 seconds later everyone gets to see how creative your guests were as the digital camera clicked away. Photo booths are a trendy new one-of-a-kind feature at wedding receptions. They bring style, flair and lots of fun with absolute spontaneity. It will add a dash of real human interaction to create lasting memories. Formerly an American tradition at five and dime stores, malls, arcades and amusement parks, photo booths add a lot of excitement for your guests and give you a terrific replacement of the traditional guest book. It not only provides a fun activity for your guests to do, but it provides memorabilia for the bride and groom. Your guests can have a blast with unlimited photo ops. Guests rarely need any guidance once they see how fun and easy it is to make custom pages. But just in case vendors always provides a trained photo booth attendant to help any guests who may need assistance. The photo booth is interactive FUN to entertain your wedding guests for several hours. Your guests can trade photos with their friends and start their own scrapbook of your wedding. Some photo booth vendors include the favored photo guest sign-in/comment book in their rental package. Most are custom made at your reception. The signature captions photo guest book will capture the fun and spirit of your reception in a book that you will treasure for years to come. There is nothing quite like the charm of watching groups of 6 or more friends trying to fit into the booth at once in a dead heat to see who can make the goofiest strip. 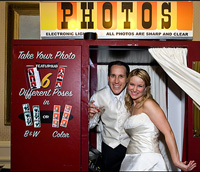 Many couples have the photo booth placed next to the bar for added enjoyment. Some even have their DJs announce photo strip contests or games as added incentives that really get the party going. Retro black and white, digital color, they can include your logo, or chose from fun frames & hair-do's. Some vendors bring along some fun props, hats, glasses, etc. Look for a photo booth rental company that includes all these features and benefits without charging additional fees. 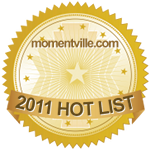 Typically a 4-hour rental package is packed full of options and reasonably priced from $1,195 and up. The fees normally include delivery, installation, and an attendant to ensure the booth works smoothly and your guests are well taken care of. Vendors will often provide a CD with all the pictures of your event. This CD can be used as content for your wedding video or use it to reprint any photos. Photo booths virtually guarantee everybody at your event a good time. They are instantly recognizable, immediately accessible, and eternally entertaining. They spontaneously tap into guests' creativity and sense of humor, while immortalizing the intimate, hilarious, and unexpected. While a photo booth is perfect for almost every event, not every event venue is perfect for a photo booth. But with some consideration and creativity, you can add a picture-perfect touch to your wedding or party. Stairs, photo booth weight and small hallways are among the hurdles that may have to be cleared when renting a photo booth. If a photo booth is your heart's desire and there is a way to make it happen, your vendor will find it. A special "thank you" to Jill & Chris at A 2 Z Photo Booths for their assistance in writing this article. Ask about their new "Save the Date" PhotoStrips! Imagine the fun your guests will have in a photo booth at your reception!